In the second pAsuram, AzhwAr says “Is there anyone who is comparable to me in thirunAdu (paramapadham)?” since his desire was fulfilled as he prayed in thriuvAimozhi 5.9.10 “thollaruL nal vinaiyAl solak kUdungol” (Will we be able to praise him by his virtuous deeds out of his mercy?). Subsequently, AzhwAr says “My time is spent in lovingly meditating upon the heart-melting activities of krishNa who is having an amazing form; are the residents of distinguished paramapadham, where there is constant enjoyment of bhagavAn, a match to me?”. nEyaththOdu kazhindha pOdhu enakku evvulagam nigarE? kaNNan emperumAn played sweet songs with his flute; he herded the cattle; he embraced the divine shoulders of nappinnaip pirAtti who is having divine lock which resembles youthful/tender keNdai fish; thinking about the eternally enjoyable activities of krishNa who is having an amazing form and many such enjoyable aspects, having a melted heart, I spent my time with love towards him; for me [who is having such experiences], which world will be a match? Implies that even paramapadham is not a match. [Note; kaN (eyes) and vAsam (fragrance) are missing in the word-by-word translation]. kEyath thIm kuzhal UdhiRRum – kEyam (gEyam) – song; thIm – sweetness; sweet songs. He would play songs in the flute which rhyme with the names of the cowherd girls he desires to invite. nirai mEyththadhum – He uses the same tool (flute music) to invite the cowherd girls and to herd the cows; as he plays his flute, the cows will feel their hunger is satisfied. Just as chakravarthith thirumagan (SrI rAma, son of dhaSaratha chakravarthi) had mastered the bow in his hand, krishNa has mastered the flute. keNdai … – sIthAp pirAtti embraced SrI rAma to heal his wounds after he defeated kara, as said in SrI rAmAyaNam AraNya kANdam 30.39 and 30.40 “bharthAram parishasvajE“ (embraced her husband); similarly here nappinnaip pirAtti glanced at him with her beautiful eyes to relieve him of the fatigue of herding cows, adding fragrance to his divine form with the fragrance from her divine lock and embraced him. keNdai oN kaN – Cool glance of her very youthful/tender eyes like keNdai [fish], which feels like flow of nectar. vAsap pUm kuzhal – One who has specially great lock which is even greater than what is explained in thiruvAimozhi 10.10.2 “... vAsam sey pUm kuzhalAL” (SrI mahAlakshmi who has fragrant lock and who resides in the chest of emperumAn). pinnai thOLgaL maNandhadhum – The manner in which emperumAn embraced her shoulders. She is known as “thOLi“, one who has overwhelmingly beautiful shoulders. maRRum pala – The manner in which he embraced his other consorts. Just as chakravarathith thirumagan (SrI rAma) has adhyayanam (education), AchArya sEvai (serving the preceptors), asthra Sasthra abhyAsa (learning weaponry and military science) , krishNa is always engaged in enjoying his consorts and cowherd girls. mAyak kOlap pirAn – The amazing decoration of the benefactor who is anointed with the turmeric paste which was passed on from nappinnaip pirAtti’s divine body when he embraced her. mAyak kOlap pirAn – It can also imply his beautiful posture of being anointed with the turmeric paste and sandalwood paste from the bosoms of his other consorts who are explained in nAchchiyAr thirumozhi 10.8.7 “kongai mEl kungumaththin kuzhambazhiyap pugundhu orunAL thangumEl ennAvi thangum” (I will sustain myself the day on which he comes and embraces me [so tightly] to erase the vermillion paste on my bosoms). than seygai ninaindhu manam kuzhaindhu nEyaththOdu kazhindha pOdhu – As I start thinking about his activities, my heart will start melting uncontrollably. The state of AzhwArs is as said in thiruvAimozhi 9.6.2 “ninai thoRum sollum thoRum nenjidindhugum” (my thoughts, words and mind will tremble). nEyaththOdu kazhindhapOdhu – When the time was spent in a sweet manner due to the sweetness of the one who was thought about. 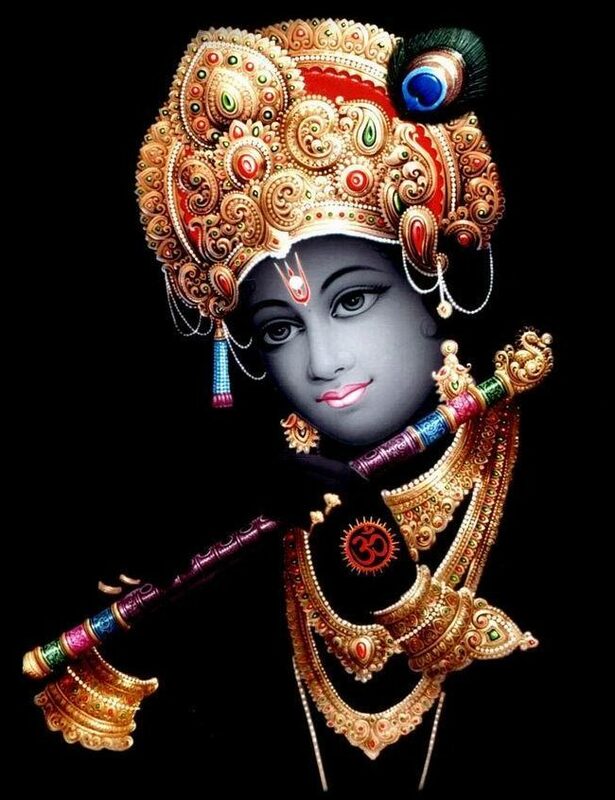 enakku evvulagam nigarE – Is there anyone comparable to me even in a dhESa viSEsham (paramapadham, the divine abode)? Who is a match for me who has sweet bliss during the time of meditation itself as it happens during the actual experience? Are those residents of the spiritual sky a match for me? Since ulagam (lOkam) indicates the noble personalities of the world, here it indicates “nithyasUris”. This entry was posted in periya thirumozhi, thiruvAimozhi, thiruvAimozhi 6th centum on January 11, 2018 by Sarathy Thothathri. AzhwAr recounts the happiness that he had mentioned in the previous pAsuram. Just as it is rare for samsAris to think of emperumAn, it is rare for AzhwAr to forget him. Ar oruvarE AvAr – is there anyone who is comparable to me? maRRu – can he become my equal? But why [do you ask this], is emperumAn not comparable to you? emperumAn thankkAvAn thAne maRRu allAl – emperumAn is comparable only to himself and cannot be compared to me. emperumAn did not become a servitor to someone and get this benefit! Did he not come on his own, without having to be a servitor to someone! Does he have any glory as I do, about having received someone’s grace? When asked “why are you talking as if you do not have any shortcoming? Have you seen emperumAn well? You still have a grievance that you have not seen him yet!”. AzhwAr responds that in order to get rid of his grievance of not having seen emperumAn, he has seen those entities which are like him. I am on the same land where there are objects which look like him; there is a difference of just a foot between him and me, says the AzhwAr. punam kAyam pU mEni – the colour of kAyAm pU (a blue coloured flower) which is fresh as it is on the land which is appropriate for it. kANap podhi avizhum pUvaip pU – the colour of pUvaip pU (another blue coloured flower) which blossoms as it is being looked at. mAmEni kAttum varam – if the word varam is taken to mean “vRiyatha ithi varam” – ‘that which is wished for’, the meaning for this verse will be: show the divine form of emperumAn who is wished for. If the word is taken to mean varishtam – beautiful, the meaning for the verse will be: show the divine form of emperumAn beautifully. Hasn’t nammAzhwAr mercifully conveyed the same meaning in his periya thiruvandhAdhi pAsuram 73 “pUvaiyum kAyAvum neelamum pUkkinRa kAvimalar enRum kANdORum pAviyEn mellAvi mey migavE pUrikkum avvavaiyellAm emperumAn uruvE enRu” (flowers such as pUvai, kAyA etc have the same colour as emperumAn’s divine form; thus whenever I look at them I feel like looking at emperumAn himself)! We shall consider the 90th pAsuram next. This entry was posted in iraNdAm Ayiram, periya thirumozhi on September 7, 2017 by T N Krishnan. In the ninth pAsuram, parAnguSa nAyaki says “The night is torturing me. The sunrise which supposed to happen has not occurred since it is desired by me; emperumAn too has not arrived; other than the suffering of mine, is there any one who will come and protect me?”. The current night which is having huge darkness and tiny mist droplet(s), is burning more than hot fire; the beautiful tall chariot of Adhithya, the hot sun, who is having beautiful rays, is not appearing; emperumAn, who is SrImAn and is having lotus flower like, radiant reddish eye(s) has not come; I am standing steadily and melting; now, who is the destroyer of the suffering in my mind? vem sudaril … – The appearance of huge darkness along with the tiny mist droplets resembles rAvaNa appearing along with mArIcha. Both [darkness and mist droplets] are favourable for enjoyment [during union with the beloved person]. [Darkness is favourable for enjoyment; are mist droplets too the same?] as said in periya thirumozhi 8.5.8 “ozhugu nuNpani” (dripping tiny mist droplets), during rainy season, the beloved woman should be embraced by the beloved man tightly. Darkness is naturally favourable for enjoyment. vIngiruLin nuN thuLiyAy .. vem sudaril thAn adumAl – Well developed darkness and tiny mist droplets are burning more than hot fire; also said as burning like hot fire. What is more important among these two? – Do we need to explicitly say that? Is it not sufficient to say there are two tormentors? Now, this decad is specifically speaking about the suffering in the night; so there is more importance for the darkness. am sudar … – Just as iLaiya perumAL (lakhsmaNa) stayed away [while rAvaNa came to capture sIthA], the sun stayed away here. The sun which has beautiful rays which will dispel the sufferings at once on their arrival, did not come. 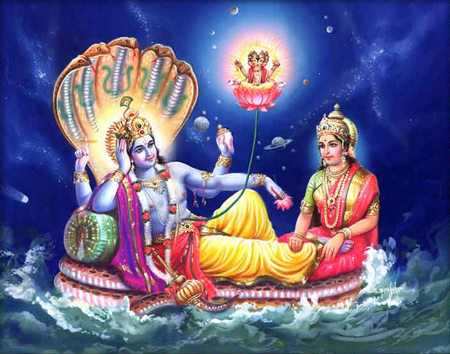 thOnRAdhAl – Just as some one miraculously escaped in the total deluge and will see “have I reached the shore? have I reached the shore?”, throughout the night, she is seeing “Has it dawned? Has it dawned?” [repetition highlights the severity of the suffering]. sem sudar … – As said in chAndhOgya upanishath 1.6 “thasya yathA kapyAsam puNdarIkam Evam akshinI” (The divine eyes of SrIman nArAyaNa, the supreme lord, resemble the lotus flower which has been freshly blossomed by the rays of the sun), one who is residing in the sun planet has not come; just as the aruNOdhayam (the arrival of aruNa, the charioteer of sun god) signifies the subsequent arrival of sun, the sun’s arrival signifies the subsequent arrival of bhagavAn. 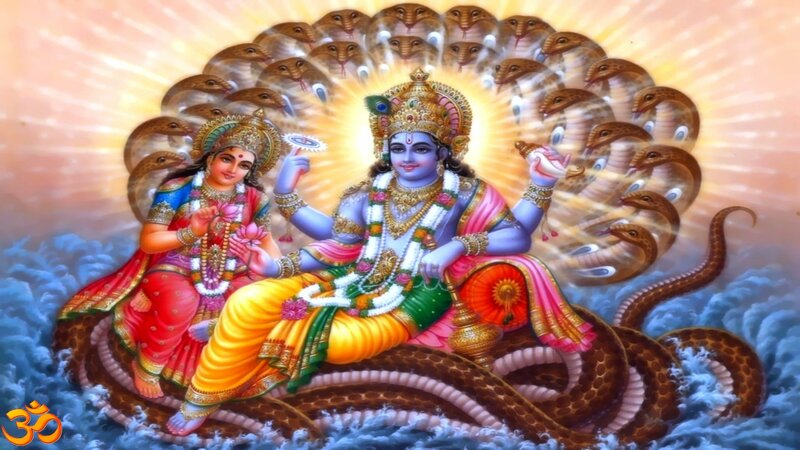 The SrImAn (the one who beholds SrI mahAlakshmi on his chest) who has lotus like eyes which shine like red glow, has not come. Even if sun comes, there is scope for the arrival of darkness too; the never-setting sun (bhagavAn) too has not come; the sun’s glow is limited to certain regions; but bhagavAn illuminates both nithya vibhUthi (spiritual realm) and leelA vibhUthi (material realm). It is said in iraNdAm thiruvanthAdhi 81 “pagal kaNdEn nAraNanaik kaNdEn” (I have seen the sun (which sets) and the nArAyaNa (the sun which never sets)). nenjidar thIrppAriniyAr – Who will cure the internal darkness [suffering]? Sun is the one who dispels external darkness; but internal darkness is well-rooted suffering; only a visionary and confidante person [bhagavAn who is greatly capable and is present as antharyAmi (in-dwelling super soul)] can remove it. 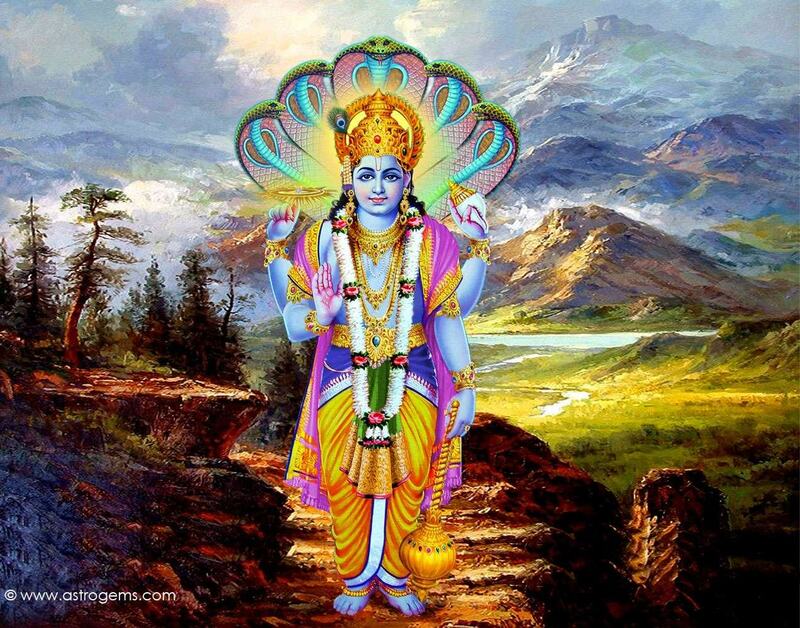 He is said in thiruchchantha viruththam 114 “gyAnamAgi gyAiRAgi” (he is knowledge, he is sun). ninRurugiginREnE … nenjidar thIrpAr ini Ar – Separation from distinguished emperumAn, having melted, the entity (suffering in separation) will neither be finished nor be able to sustain itself. The desire to see the beloved person who is separated, once more, will not let the person in separation die, and since the beloved person is not seen at once, that loss will not let the person live. This entry was posted in periya thirumozhi, thiruvAimozhi, thiruvAimozhi 5th centum on July 6, 2017 by Sarathy Thothathri.